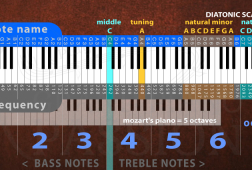 This minimalism makes perfect sense for an interface like Meludia, since its approach is to teach through intuition rather than music-theory jargon. Through a system of colorful bubbles, pleasing geometric designs, and encouraging messages, I learn to listen more closely to the subtle differences in chords, melodies, and rhythms. 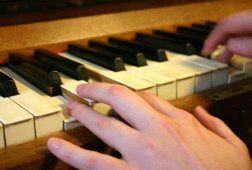 And differences is the key word, because with the Meludia method, it’s all relative: in most exercises, there is no traditional musical notation or keyboard to follow. So, for example, in one game, I simply had to listen for the relative interval between notes, without knowledge of the initial note. 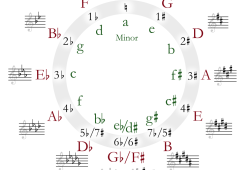 What’s so interesting about this lack of emphasis on musical terms and notation is that anyone—whether they read music or not, whether they have studied music theory or not, whether they have even played an instrument or not—can use Meludia. All that’s required is a computer or tablet, internet access, and some good speakers or headphones. 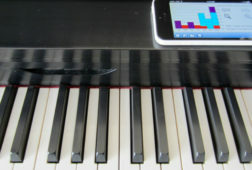 Meanwhile, the app’s advanced- and expert-level exercises provide challenges to even professional musicians. No matter what your level, visual dashboards showing your progress and strengths make it satisfying to continue playing and improving. 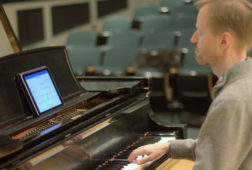 Sannac, a pianist, singer, and composer, built the online application after studying under renowned French music teacher Vincent Chaintrier, who originally developed the Meludia Method. 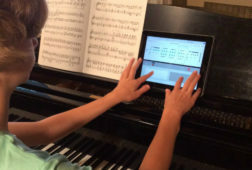 The website launched in 2014, and includes a few free exercises to start with; there are subscription fees to continue with additional exercises. A special platform for educators allows them to get group access and track their students’ progress. 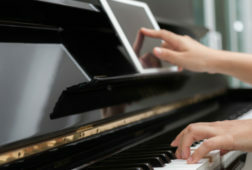 Whether you are already practicing piano, taking music lessons, researching pieces you are learning, or studying theory, Meludia offers an additional way to strengthen your understanding of classical music. 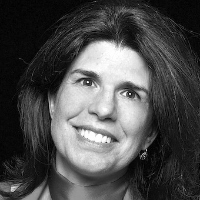 The application is remarkable in that it transforms something that’s normally intangible—acquiring the skill of deep listening—into a series of measurable activities. 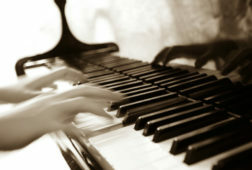 Disclosure: GRAND PIANO PASSION™ received free access to the Meludia platform while writing this article. Thank you for your wonderful article – this has motivated me to want to explore the Meludia app. Excellent! 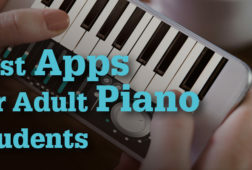 Good luck with your exploration of the app and your piano practice. 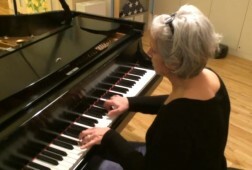 Founding Editor Nancy M. Williams writes about elements of technique and insights on how to practice from her weekly adult piano lessons.